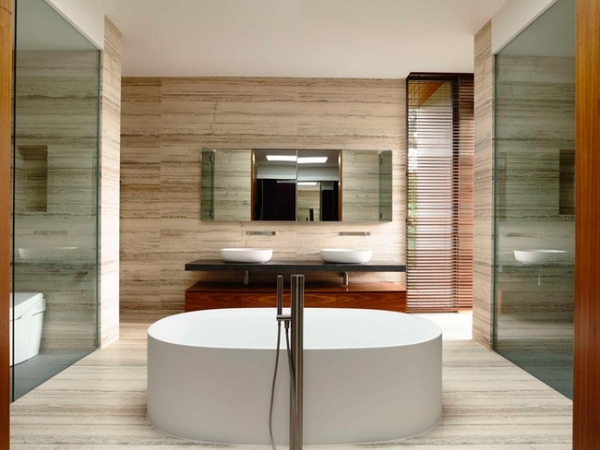 In a world of demands and chaos, the bathroom emerges as a sanctuary of calm, tranquility and quiet – both within and without. 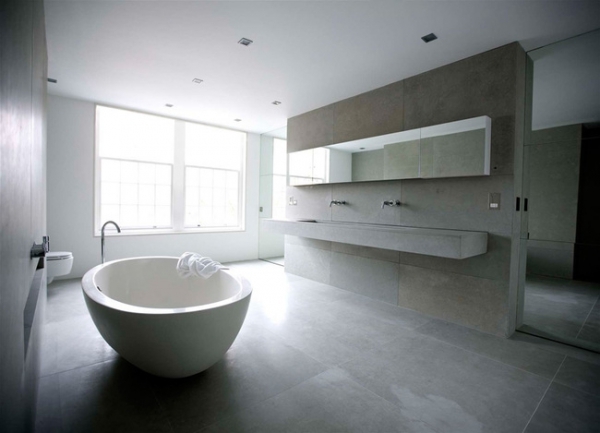 The contemporary bathroom therefore moves away from packing it all in, to some sensually engaging and visual relaxing minimalist bathroom designs. Attempting to blur the lines between modest residential and naturally invigorated bathing experiences, these infuse the bathroom with creative reinterpretation and a timeless touch of Zen. 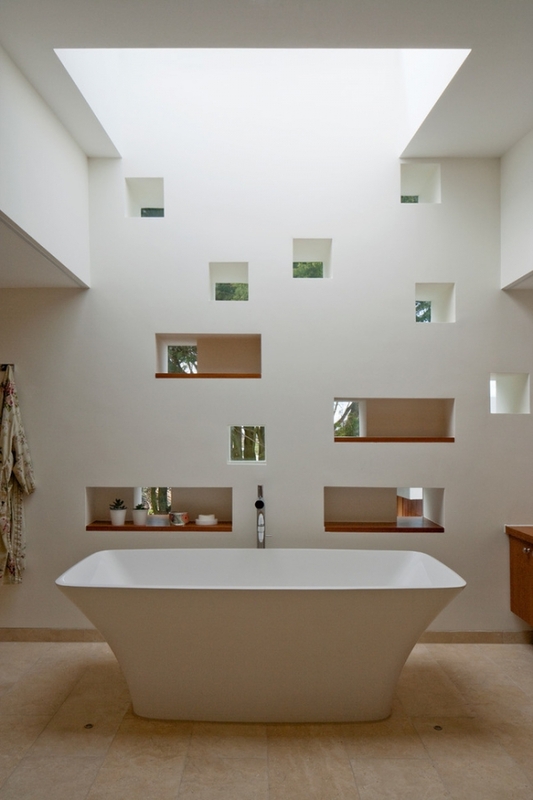 Prime players in this field are the freestanding bathtubs that liberate these spaces to arrive at sheer functional and aesthetic triumph. 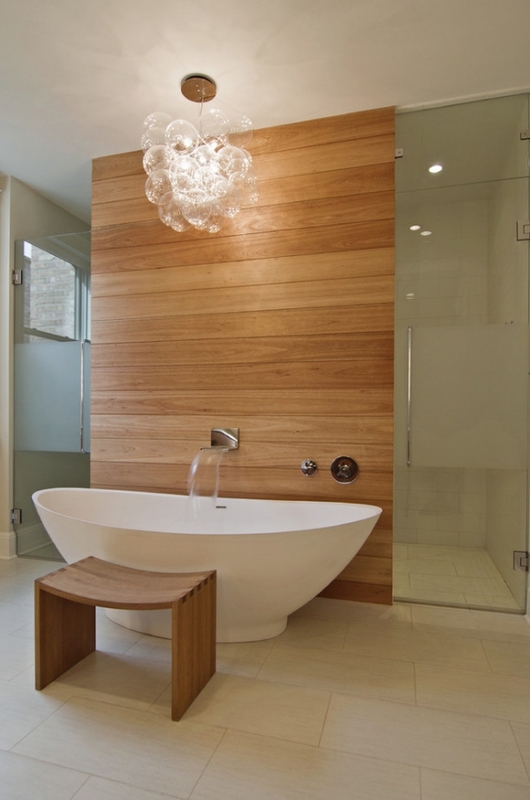 Whatever your material, décor or theme of choice, freestanding bathtubs are sure to take things up a notch or two. 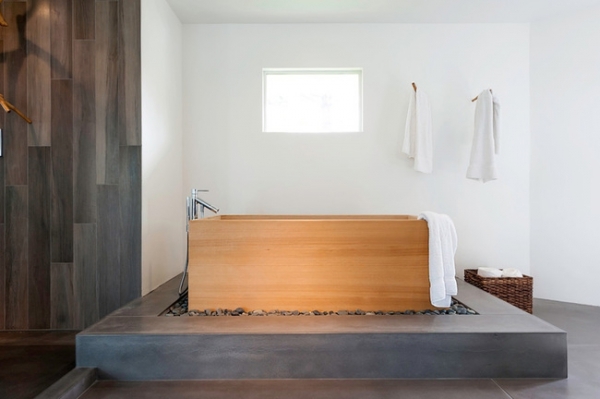 Standing tall in their own right (quite literally might I add), they allow for bathing to take center stage in your space instead of hastily being tucked away. Complimented by dramatic forms and gorgeously tactile finishes, these beauties demand you slow down and pause a moment before stepping right in. 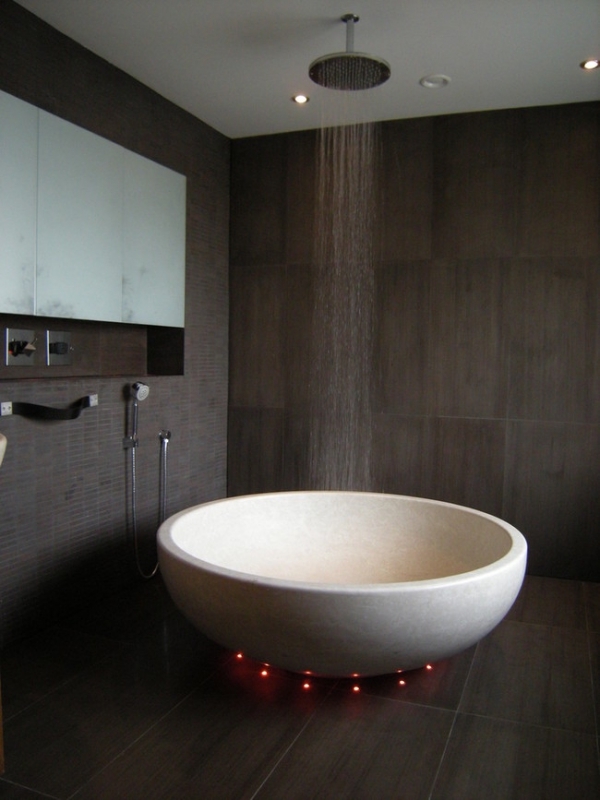 A great tool for organizing your bathroom, they requisite your ambitions be bold, and your strokes generous. 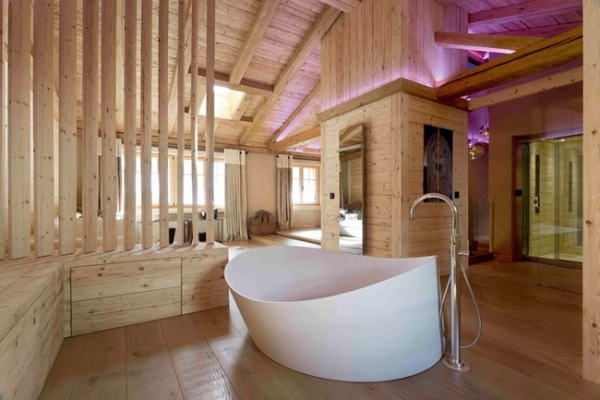 Further, the simplicity and elegance of freestanding bathtubs makes them an ideal accompaniment to both organic and inorganic textures, establishing an array of dialogues with different textures, finishes and inspirations.